Stop by the 30th annual Home & Garden Spring Show hosted by Alameda County this Presidents’ Day Weekend February 12-14, 2016 to view hundreds of home improvement exhibits. We’ll be there, so come say hi! 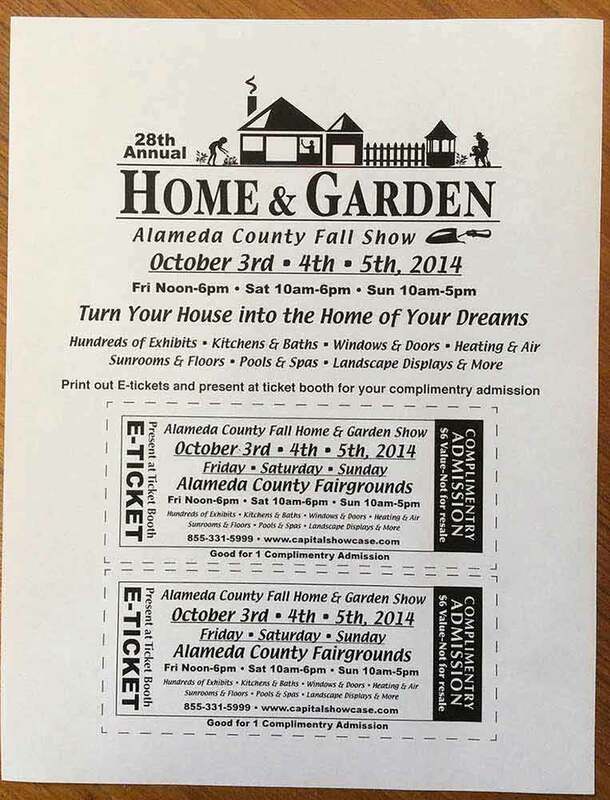 Fall Home Show in Alameda County – FREE E-tickets!